Last November, Madrid hosted another Logistics & Distribution event, a business fair where more than 500 companies present innovations from the storage, logistics and handling sectors. Of course, the Mecalux stand featured the latest developments of the Easy WMS warehouse management software, as well as the high-tech Pallet Shuttle system. The latest Logistics & Distribution event spotlighted new trends in the logistics sector and, more specifically, supply chain digitalisation. In this respect, Mecalux has a division dedicated to developing technological solutions and carries a broad software catalogue with products that facilitate in-company management of logistics. Additionally, Mecalux is constantly heading up new, innovative projects on technology to add value to its software products. For example, the application of artificial intelligence or Big Data, aiming to help companies face down new market challenges, such as the boom in e-commerce and omnichannel shopping. 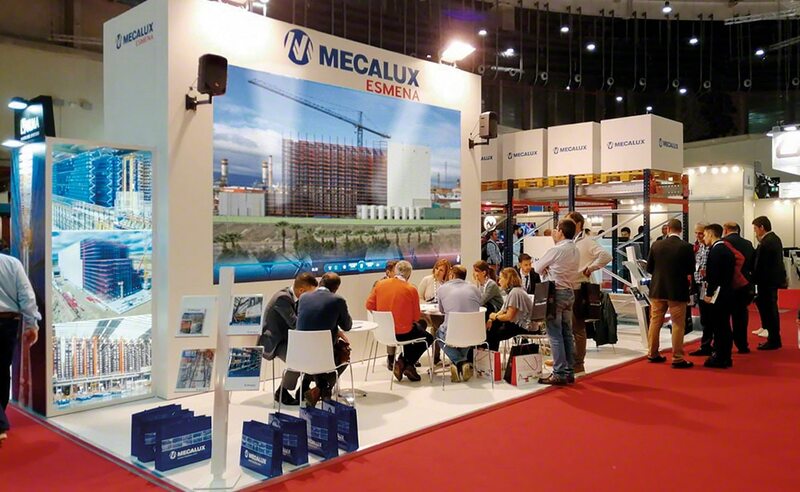 During the two-day event, professionals that visited the Mecalux stand got an up close and personal look at the Pallet Shuttle system in action. These motorised shuttles run back and forth inside storage channels, carrying out pallet loading and unloading. This storage system is highly-suited to companies that want to benefit from quick inputs and outputs of many single-SKU pallets, as well as cold-storage chambers or interim buffers for finished orders.